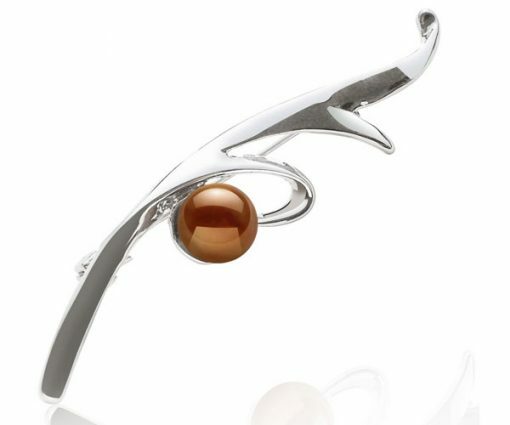 Genuine pearl set in 18k white gold filled setting in a simple leaf design. With high luster of an 8-8.5mm cultured freshwater pearl, it brings out the best of a real pearl with its long lasting white gold filled setting. 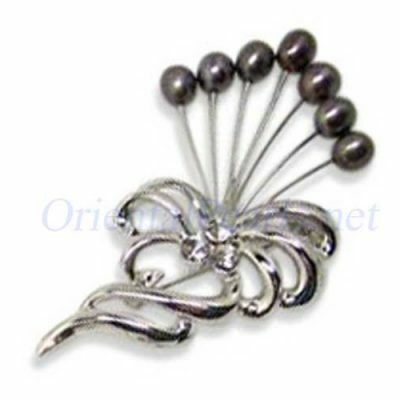 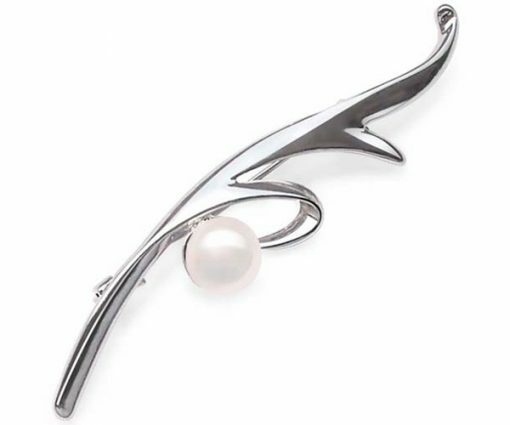 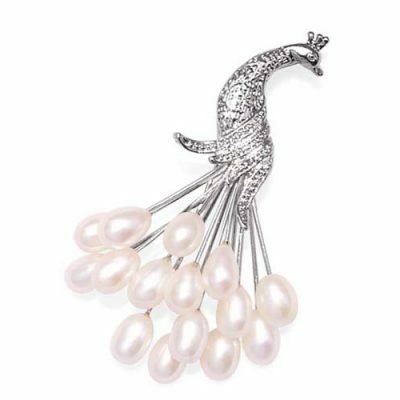 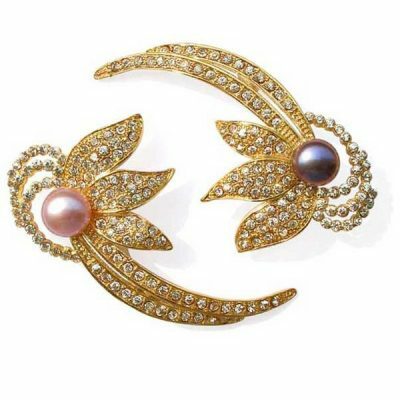 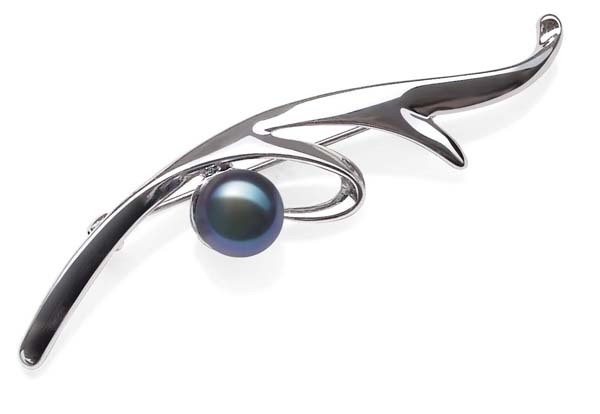 The pin measures approximately 1″ to 2 1/4″, measured from its longest two dimensions.